We provide a car rental service in Vilnius, Kaunas, Palanga and Klaipeda. 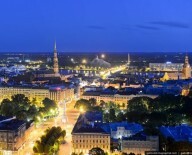 It's also possible to hire a car in any other city of Lithuania. To get an offer for car rent in other cities in Lithuania please send your request to our e-mail: reservations@primecarrent.com.